GO TELL THE SPARTANS packs a serious amount of punch in its pint-sized frame. People always seem to demand that Vietnam War movies wrap up the whole sorry business in one telling, which is asking for rather a lot of resolution in a few hours of craft. 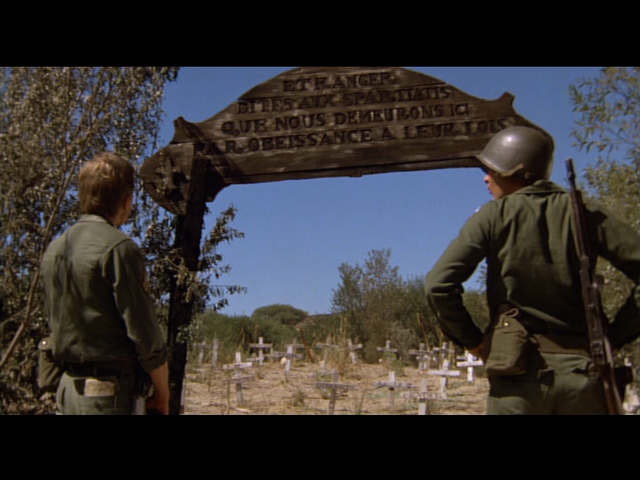 The big-time productions worked well at the results end of the barrel—Apocalypse Now and Full Metal Jacket with the insanity, Platoon with the savagery, The Deer Hunter, Coming Home and Born On The 4th Of July with the emotional cost. This little piece, done in 1978 on a shoestring for $1,500,000, gets back to the start (or close enough), when we hadn’t yet landed with both hobnailed boots, just a limited number of advisers—1964. Past is prologue: Muc Wa’s newest inhabitants view the previous tenants. 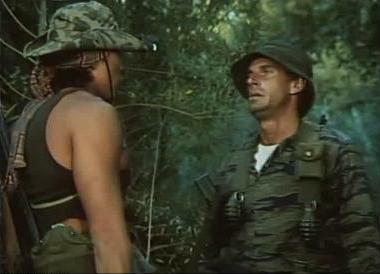 In 114 minutes, Wendell Mayes’ terrific script does the heavy lifting for the threadbare visuals (a few dozen Vietnamese immigrants employed as extras behind the small cast, in undramatic locations (they shot in scrub brush around Valencia, California instead of the generic Hawaii or Philippines doubling as Indochina). Taking the scope off the usual spectacle of cool explosions, a lot of stars and a bunch of gear, eschewing ‘heavy’ allusions to Conrad and Custer, the profane, funny, down-to-earth dialogue and situations bring the waste, heroism, naivete, duplicity and tragedy of the war into something approaching a focus, sticking with one small team in one crappy coordinate, for some obscure directive, to no good outcome. Ted Post’s direction is not that hot as far as action and framing goes, but he gets superior work from his cast. More likely they all loved the script, because everyone is really good, led by Burt Lancaster in one of his best late-career performances. He dominates with his charisma and calm command of the material, but he doesn’t showboat or diminish the new kids—Craig Wasson, Jonathan Goldsmith, Marc Singer, Joe Unger: they all get their licks in. With Evan Kim, Dolph Sweet, David Clendon, James Hong. Good sound effects provide a sonic boost to the make-do visuals. Burt’s story about his career-stalling assignation with a general’s wife is a classic. The script had kicked around studios for years, seeking backers and the right star. It came from a 1970 novel, “Incident at Muc Wa”, by Daniel Ford. 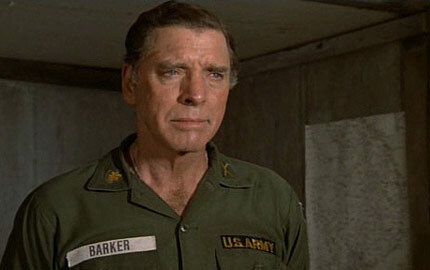 He based it on his coverage of actions in 1964, working as a correspondent for “The Nation” . When will we ever learn? Never.